The World as we know it is long gone. Our hero, the diminutive and unassuming P.S. Jones, is doing what he does best, shovelling poop and daydreaming. P.S. dreams of visiting The Frozen City, a utopian world just visible beyond the forbidden Burning Waste. The only thing worse than knowing he'll never set foot in The Frozen City is finding out that his tall, handsome, charming, (incurably vapid) brother Benjamin is about to take a real life zeppelin to the The Frozen City where he'll be deified on account of being so pretty. After a tearful and tight-lipped goodbye, P.S. hunkers down and gets back to work. He doesn't know that his shovel is about to unearth something that will change his life forever, or that he's about to go on a long and difficult journey, that it's gonna hurt, that lessons will be learned and that he's gonna one day set foot inside the thick glass of The Frozen City. Perhaps it’s best to know a bit more about what you’re wishing for. Joe Paulik*, Steven Rishard*, Jenny Seastone Stern*. 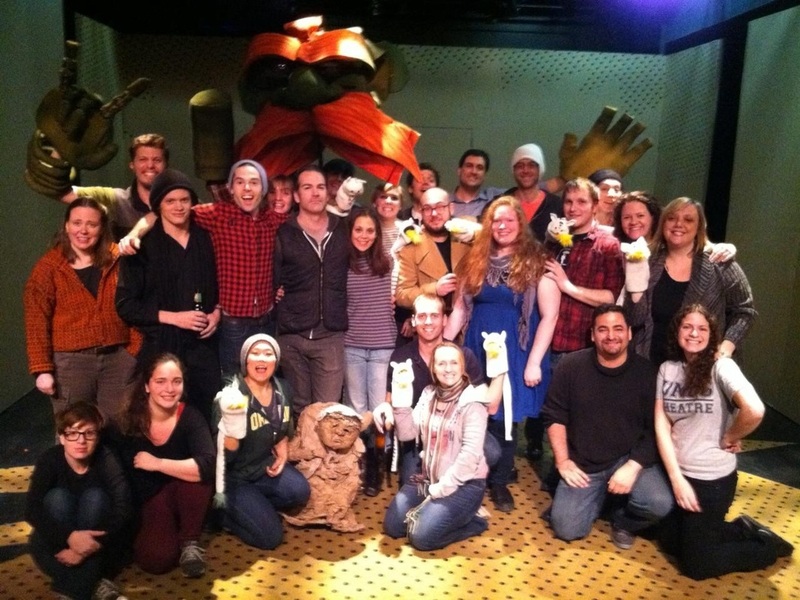 Puppeteers Chloe Moser, Katey Parker and Eric Wright. 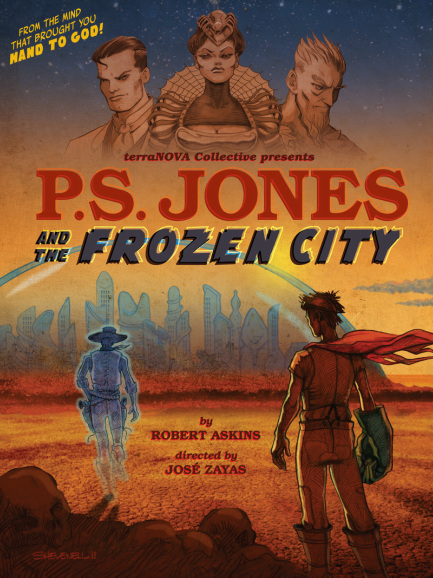 PS Jones and the Frozen City from Imaginary Media Artists on Vimeo.